One dozen assorted bagels, 2 cream cheese tubs, falvored and regular, gourmet jams and preserves, herb teas, gourmet coffee, flavored cocoa, iced tea or juice, 2 large fresh baked muffins, topped off with candies and other treats. More of the above but with 2 Dozen freshly baked Bagels, and more specialty items and treats. 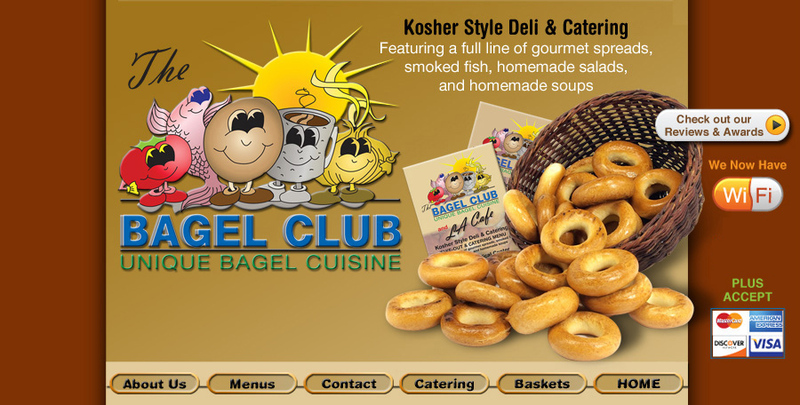 Much more of the Medium Basket but with 3 Dozen freshly baked Bagels in assorted flavors and more specialty items. Phone us, stop by our store, or email us for your order. As holidays approach please order early to insure getting your order.